Chibi-Robo! : Zip Lash is ranked in the 24th percentile of games scored on OpenCritic. An unspectacular sidescroller that squanders its core idea. It's fun in spurts, but overall a disappointment that hopefully doesn't consign this series to years in limbo. It's a minor part of the game—Chibi-Robo will find snacks during his clean-up duties, and can give them to his hungry plane friend for a useful return—but it's so weird to see real products in a game like this that it stands out more prominently than it should. Here's a fictional game world, devoid of all people and recognizable buildings, filled with stuff you'd buy at Wawa during a road trip. Actually, that might make it the most ingenious thing about Chibi-Robo! Zip Lash: it's not just trying to sell you something, it's trying to sell you something you'd buy to kill time in the back of a car, just like the game itself. Overall, Chibi-Robo Zip Lash is a very fun platformer that feels very Metroid in how it handles exploring worlds.While the difficulty can be lacking at certain points, once you master all of Chibi-Robo's moves you begin to really enjoy and appreciate the puzzle aspect of each level. Chibi-Robo! Zip Lash is a solid game that was a very entertaining experience. It's not a ground breaking revolution in gaming, but not every game has to be. It's fun, easy on the eyes, and the gameplay is very well crafted. It's a shame that Nintendo said this could be Chibi's last adventure if this game doesn't sell well, because I think this is the most enjoyable Chibi-Robo game yet. If you plan on picking it up, do yourself a favor and get the amiibo bundle. Even though I'm not the biggest amiibo fan, the quality on the Chibi-Robo amiibo figurine is outstanding. If you are looking for a quality 2D adventure, and enjoy being a completionist, Chibi-Robo! Zip Lash should be on your radar. Chibi whips it, and he whips it good! Chibi-Robo: Zip-Lash is a fun game. It's got some frustrating moments (stage select, vehicles) but the highs outweigh the lows, and I like the Amiibo functionality. Give it a shot, kids. With everything taken into account, Chibi-Robo! Zip Lash is a well-put together title. The pros outweigh the cons by leagues and it has fun packed into all the right places. I had my doubts about Chibi Robo, and was this close to not even trying it out. The video game player in me gave it a chance though like it tends to do, and I was really surprised. It has issues, but ones that I can easily overlook, not just to throw caution to the wind but because it just didn't affect my overall thoughts and feelings while playing the game. I was having a good time the majority of the time, and it strikes me as a unique platforming experience at the end of the day. It's cute, charming, and very Chibi, and that's just how I like it. Chibi-Robo! : Zip Lash is a nice break from the series' usual 3D platforming formula and offers some solid gameplay, even if it stumbles a bit along the way. Chibi-Robo! Zip Lash is varied enough to keep every skill-level of player engaged throughout its 30+ worlds but isn't as polished as one would hope. There's a quirkiness here that's come to be expected of the series – of the more "off-beat" Nintendo efforts, this is the closest thing to a Mario game that exists in the same space as, say, Tomodachi Life — but the oddities feel incongruous with the game at large, as if the previous game's environmental and "do-good" themes were just pasted on instead of weaved meaningfully into the experience. That said, it's still a slightly above-average platformer that'll eat up time for on-the-go gamers looking to satiate their appetite. 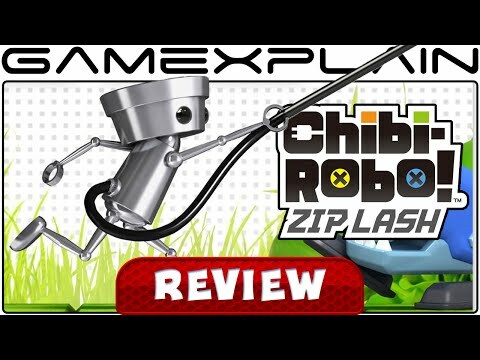 Chibi-Robo Zip Lash may not be the most original game of 2015 but it gives the player an honest arcade experience with a fun protagonist and some old-school gaming mechanics with a few twists and challenges to be found along the way. To borrow an element from the song by Devo "I say whip it… Whip it Good!" It's a testament to its stage design, though, that I came away feeling utterly satisfied despite the game so constantly getting in its own way. Chibi-Robo may not be destined for Nintendo stardom, but Zip Lash shows how the tiny robot still has plenty of room to grow, experiment, and find what works for him. Chibi-Robo makes the leap to 2.5D with gameplay mechanics that are very well implemented, but baffling decisions like the Destination Wheel and repetitive level design take away from what could have certainly been a better game in Chibi-Robo! Zip Lash. [I]f you like old-school action and see yourself not minding the spin wheel mechanic for accessing stages, then Chibi Robo! Ziplash might just be a game you'll want to plug into. "Spin the wheel of fortune." The new Chibi-Robo chapter is certainly not a triumphant return to its previous titles but that doesn't mean Zip Lash does not have its charms. The use of the electrical cable and the collecting of snacks are welcome components and the outfits certainly extend the game's replay value. It can, however, become repetitive quickly and lose some of its appeal, as its unambitious level design demonstrates. There's plenty of good times and fun to be had with Chibi-Robo! Zip Lash, but it's all bogged down by a restrictive and archaic level selection system. The amiibo coming with the game is definitely a perk because it's friggin' adorable. The game is only an average experience. It has plenty of levels but many are the same kind of grind. Half of the non-platforming stages are fun, and the other are torturously placid. Environments do change from world to world, but the challenges are almost identical. It's not bad, but it's not great either. Could've used more "zip," I think. Chibi-Robo! Zip Lash is a fun but ultimately unexciting title, which makes it occupy a weird space in our minds. The whole package is undoubtedly polished and pleasing, and if you're looking for a solid platformer that zigs where a Mario may zag then this is a safe bet for an enjoyable time. But for all the charm and smooth polish, there's little texture here to make the game stand out from others in this genre. Over time, we suspect we won't remember a lot of the finer details — the amiibo for sure, and maybe a stage or two here, but on the whole will struggle to pin down a reason to revisit.So what's the point of Zip Lash, then? Is it to simply experiment with gameplay concepts? There aren't any radical new ideas at play, and it seems odd for this to be a grand experiment — Bionic Commando explored similar concepts back in the NES days. Is it to test whether Chibi-Robo can find success in a new genre? Perhaps — he's been in a few quirky games already, and maybe some think it's time for him to take a swing at the big time. Whatever the problem that Chibi-Robo! Zip Lash is trying to solve, we hope Nintendo can find the answer it seeks. We'll be over here, scratching our heads about it. Some interesting ideas, then, but they remain a set of novel detours rather than coming together as a coherent whole. This is so far away from the games that made Chibi-Robo a recognizable Nintendo character. This is an average, easy platformer. Unless you want to play just that kind of game, you would probably do well to steer clear. Chibi-Robo! Zip Lash is not the best Chibi-Robo - it is not even that great of a 2D side-scroller or platformer, either. For the most part, the experience ends up feeling shallow and generic compared to the past games and aside from a few fleeting bold moments with the bosses, there just is not much memorable about it. The world may never see another game in this franchise, and it is sad that this one will probably be remembered as "that time Nintendo tried to give Chibi-Robo a desperate change." Perhaps the timing was bad for this character, or the world just wasn't ready for him yet. Zip Lash is a well-made title, just one that fails to inspire. Skip Ltd. should have played to its strengths as a quirky Japanese game developer, instead of aiming for a homogeneous 2D platformer. If you're a die-hard Chibi-Robo! 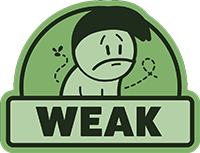 fan, or if the possibility of having to replay the same levels over and over again doesn't bother you too much, then Zip Lash might be for you. Unfortunately, it's tough for me to give this game a good recommendation after the frustrating time I had with it. I still love you, Chibi-Robo, but this was not your best effort! An alright platformer with charming looks and characters, but nothing revolutionary. Had Nintendo taken the time to produce a sequel with the same amount of depth as the original Chibi-Robo, we'd be getting somewhere. But Zip Lash just feels like a routine platformer, not offering enough bang for the buck to satisfy die-hard fans of the series. Kids may get a kick out of it, but more could've been done to assure a long-lasting life for our environmental hero. Here's hoping we haven't seen the last of him. Chibi-Robo! Zip Lash takes Nintendo's adorable mini helper robot and throws him into a mediocre side-scrolling platformer that's too easy, too frustrating, and too below the standards of either its hero or its publisher. There's some good here, but it's not enough to raise this one above being an average experience. Less zip and more of a lashing, Chibi-Robo: Zip Lash has all the basics it needs to be an enjoyable platformer but trips over itself with some baffling design choices and an un-inspired candy center. Chibi-Robo! Zip Lash is one of those rare examples where the previous games were more interesting in concept. There's possibly something there for someone younger to sink their teeth into and it is adorable throughout, but this is a standard platformer with a great deal of padding and not all that much innovation. Overall, a competent platformer that plays it safe, but one that is also painfully drawn out. There's talk that Zip Lash could be the final Chibi-Robo game, and that's a shame. I'd prefer to see him go out with a bit more style than Zip Lash offers. The irony of this game focused around acquisition and collecting is that it's not really worth acquiring for your collection. Even if that Amiibo is awfully adorable. Despite some cute details and a good idea here and there, Chibi-Robo! Zip Lash is inconsistent at best and often just boring. Most levels are a little too slow, and a 10-or-so-hour game felt far longer — in a bad way. I liked seeing Chibi-Robo's adorable little victory dances and finding hidden collectibles, but even its best moments were few and far between. It was just enough to pass some time. Despite the name this lacks any kind of zip at all, in what may be the most mundane and unexciting platformer Nintendo has ever put their name to. Chibi-Robo Zip Lash has charming moments, but it's a mostly-bland adventure defined by disappointing design choices.